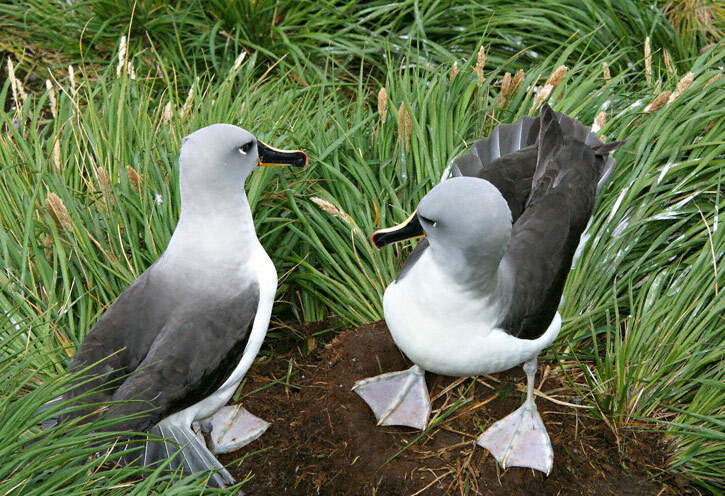 The Gray-headed Albatross (Thalassarche chrysostoma) is circumpolar in the southern latitudes ranging as far north as 35 degrees south. 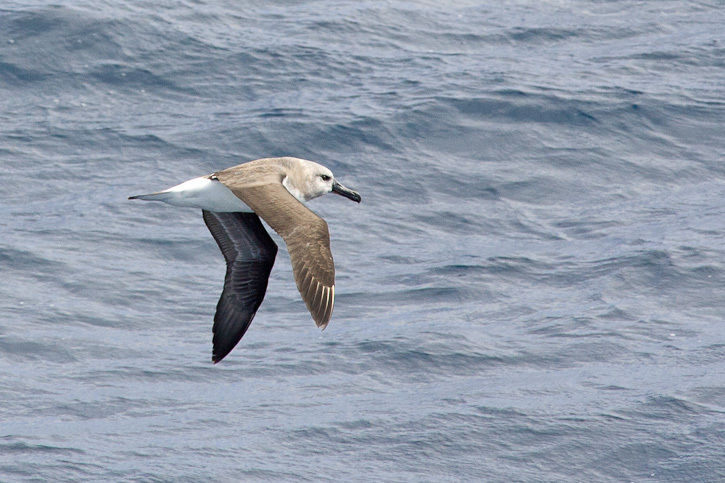 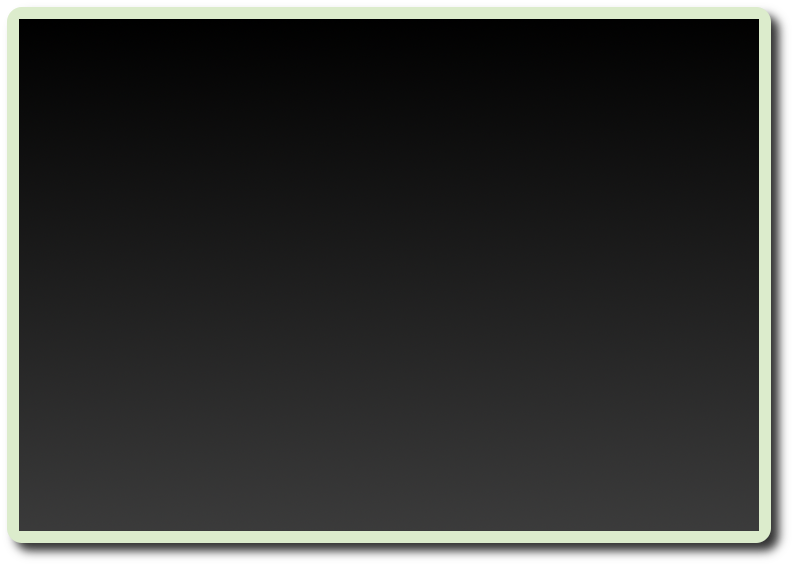 It is a species that is seen fairly commonly while crossing the Drake Passage or the Scotia Sea. 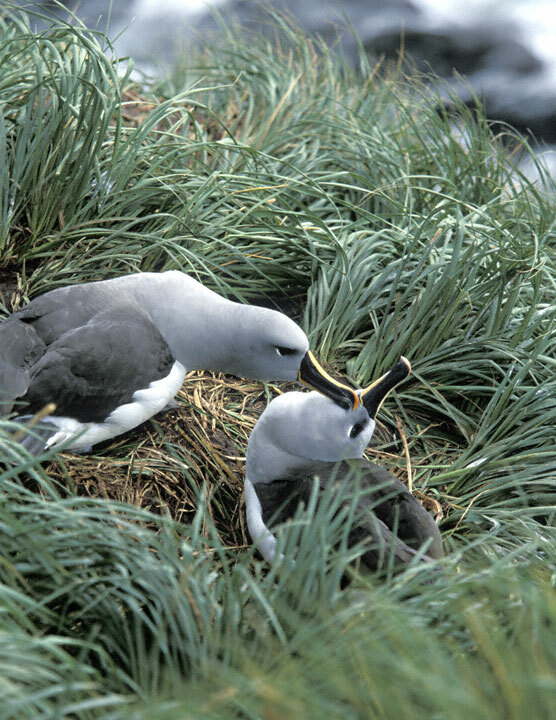 The birds shown in the initial shots on this page were photographed at Elsehul, South Georgia in February, 2001, with a Canon EOS 1N and EF 70-200 F/2.8 L lens with a 1.4X extender on Fuji Velvia. 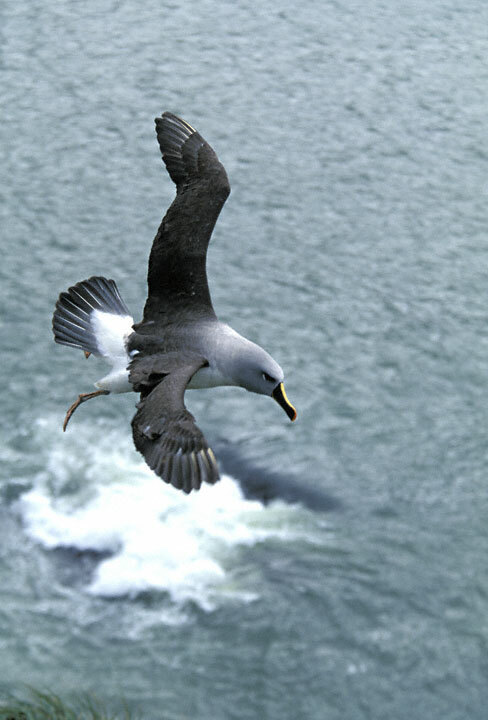 The individual at right was hovering in strong wind near the top of a cliff near a nest site. 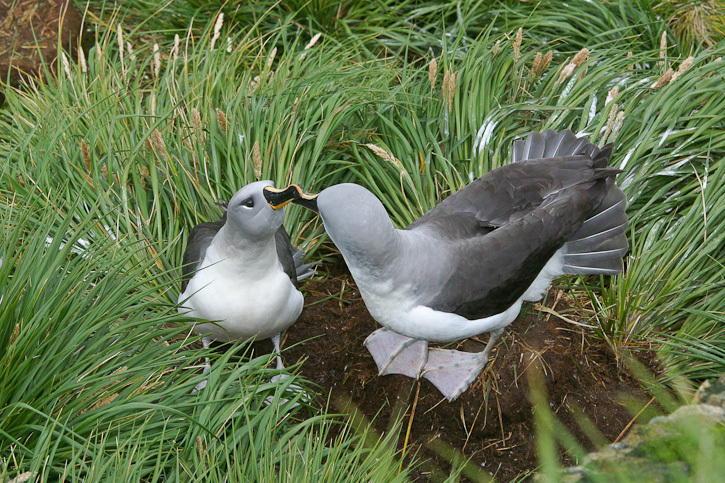 The pair in the next image was at a nest and engaged in allopreening. 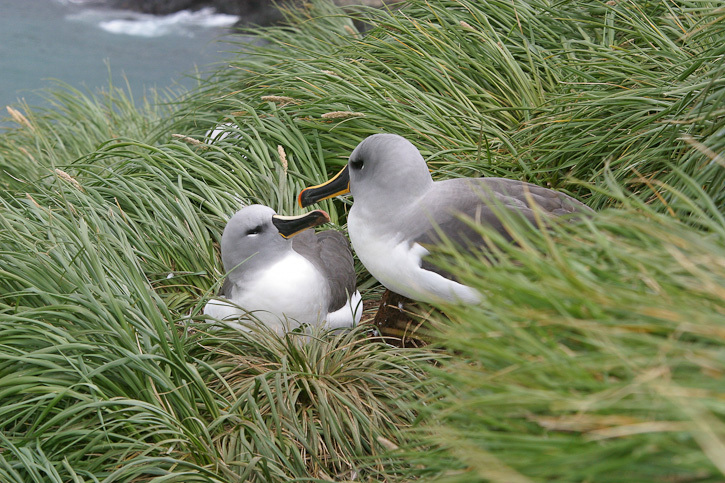 The next shot shows a pair at a nesting site. 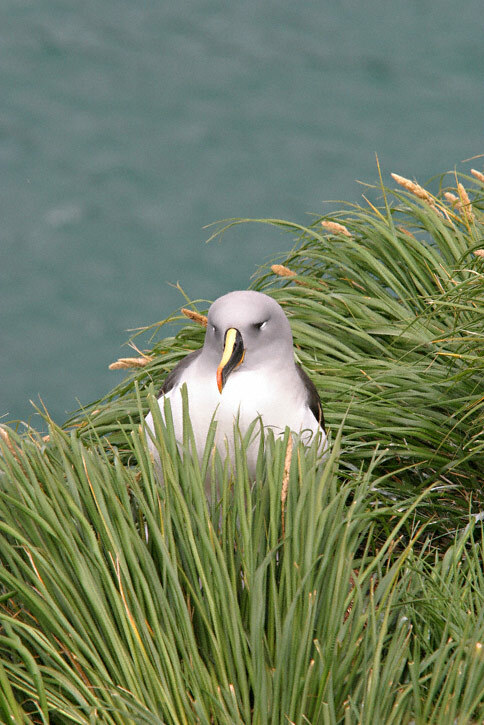 In January, 2003, I was able to return to Elsuhul for a short while and took a few more shots of the nesting Gray-headed Albatrosses. 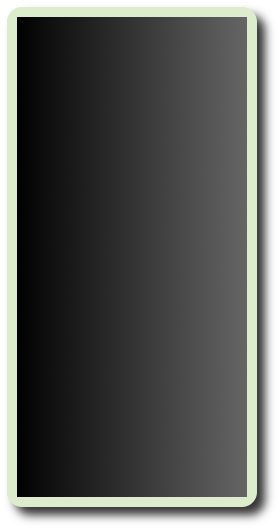 The next four images were taken with a Canon D60 and EF 70-200 F/2.8 L IS lens and 2X extender. 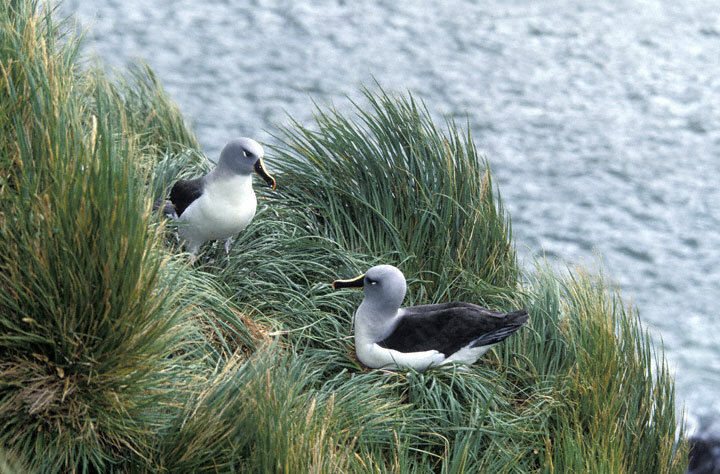 The immature Gray-headed Albatross on the right was just off the southern tip of South America at Cape Horn, in February, 2005.